If you saw Monday’s post, you’ll have seen that I was lucky enough to attend another event with Lush Southampton just before Valentine’s Day. And obviously, who can make a visit to their local Lush store without leaving with a bag full of goodies? We were lucky enough to be gifted some items – thank you Lush Southampton – and I also made a few cheeky purchases, and I thought I’d share them with you then. I’ll start with our little goody bags for the evening. Man, were we spoilt? We watched our own batch of Cupcake Fresh Face Mask being made on the night, and at the end of the evening we got to walk away with some. I’ve never tried Cupcake before, as I wasn’t too keen on the smell (shocker), and I wasn’t 100% sure it was the right mask for my skin. After hearing what goes into the mask, and what it would do for you, I’m definitely more open to trying it. In fact, I might pop some on tonight. The smell has grown on me, and I feel a little proud of the fact that I watched it being made. Also in our goody bags was the Tisty Tosty Bath Ballistic. I’d never tried this before, although I’d seen it in store a few times. This has real flowers in, which I imagine will look really cute in the bath – what better way to relax. Next up we have the Prince Charming Shower Cream. This caught my attention as soon as we walked in the door. That colour is so eye catching, and once I had smelt it, I knew it had to come home with me. With pomegranate, marshmallow and vanilla, the scent is right up my street – I love anything sweet and fruity. Luckily, it was one of our goodies – I was so excited to see a little bottle in my bag. Our final treat was the lip scrub in The Kiss. This has a similar scent to Prince Charming, and was obviously another product I knew I’d love. As a little nod to Valentine’s Day, this lip scrub has little edible hearts in it, which just makes it even more adorable. Moving on to the items I purchased for myself – of which there are a couple, I just can’t help myself. The first item I had to bring home with me was the Lover Lamp. The smell was just divine, and I loved the little hearts in it. I used this the other day, and it left my skin so soft, albeit a little white haha! The other bath item I picked up was the Ladybird. These were just so cute, I don’t think there was any way I would have been able to leave without having one in my bag. The colours are garish and in your face, but hey, sometimes that’s what we like right? I’m excited to see what this does to my bath water. My final purchases were on the recommendation from Anna. She loves the Tea Tree Toning Tabs, and she’s been trying to get as many of us to try them as possible. At just £1 each, I thought I’d pick a couple up and give them ago. You use them like a steam facial by placing them in a bowl of warm water, and then once the water has cooled, you can bottle it and keep it as toner – how fab is that? I’m really looking forward to giving these a go! Have I tempted you to pick anything up? Are there any products I really need to try? I have really fond memories of my first event with Lush Southampton, right back when I’d just really gotten into blogging, so when they invited me along to their Valentine’s Evening, I couldn’t say no. An evening with some of my favourite girlies getting Lush all to ourselves? Yes please! We were greeted by the always lovely staff, and left to a little mooch around the store. Then we were rounded up so that the demonstrations could begin. We were introduced to some of the Valentine’s items, with demonstrations of both the Unicorn Horn bubble bar and the Lover Lamp bath bomb – both of which were stunning. Once we’d been amazed by the magic of Lush, and smelt everything in sight, we were gathered round as we saw our very own batch of Cupcake Fresh Face Mask being made. It was really interesting to see everything that goes into a face mask – it quickly becomes clear why you need to keep them in the fridge. We also had the opportunity to have a little look at some of the newer releases for Mother’s Day. I fell in love with the Ladybird – I mean, look at how cute they are! I also loved the look of the Yummy Mummy shower cream, the colour and smell were both stunning. Before the evening came to an end, we were let loose on Lush’s collection of lip care products, and their makeup range. I’ve used Lush lip scrubs in the past (I’ve got the Mint Julips one on the go at the moment) but I hadn’t looked at the lip glosses or the makeup before. The lovely Nicole played a game of Emotional Brilliance with us, where you spin the wheel and pick three colours, which reflect your emotions at the time. Your colour choices may change depending on the day, which I think is really fun. There are so many different colours, from conventional reds and nudes, to bright blues and greens. They’re super versatile too, you can use them for lip colour, blush, eyeliner – talk about value for money! Overall, I had another fabulous evening at Lush Southampton with my blogging girls. It’s always such an inviting atmosphere, and I learn so much every time I go. Of course, I had to pick up a few bits, and we were gifted some lovely bits, so expect a haul soon! With Valentine’s Day on the horizon, we're on the brink of being bombarded with stories of love and relationships. Now that's all well and good for those of you who are in relationships, but for singles like me, Valentine's can be a bit anti-climactic. So this year, I thought I'd share with you my “Survival Guide” to Valentine's Day. Why not treat ourselves? My first step in my solo Valentine's is always a Lush bath and face mask. What better way to relax? I'm using the Cosmetic Warrior face mask at the moment, to try and combat the spots I seem to have rediscovered. I thought 22 was a bit old for acne. Now when it comes to choosing a Lush bath bomb, that's a bit trickier, there are so many. Next on my list to try is the Candy Mountain bubble bar - quite an apt choice of bubble bar, I'd say. Once you're sorted, it's time to sit back and relax. I like to read in the bath, or catch up with some of my favourite YouTubers. Talking of books, I love reading when I want to take the time to relax. Being able to curl up with a good book is the perfect way for me to destress. Just because it's Valentine's Day, you don't have to read something romantic. I quite like the idea of picking something I can really sink my teeth into, something like Night Film by Marisha Pessl. In this book, you're the detective, faced with all the evidence. What better way to spend an evening than trying to work out what happened to the victim. If you do fancy something romantic though, I'd always recommend Nicholas Sparks. He writes amazing love stories. The Longest Ride is my favourite novel from Sparks that I've read, but this Valentine's I might pick up his latest release, The Choice. Once I'm relaxed and refreshed, the time is the perfect time for me to paint my nails. I bought Olivia Palermo's nail varnish for Ciaté in Hutch recently, the perfect Valentine's colour for anyone. This is Olivia's go-to red, and I've been on the hunt for this for ages. It retails for £17, which seems a little pricey to me, but I found this in TK Maxx for just £4.99*, bargain! For me, though, the most important thing for any relaxing evening in is the atmosphere. Find a comfy spot, and settle in for the long haul. I love retreating to my bed at times like this. With all my cushions and pillows I can get really comfy. I love using fairy lights and candles when I'm relaxing in my room. I recently picked up these copper lanterns from Primark, for just £6. I know these will get a lot of use. My candle of choice this Valentine's is the Copenhagen Candle Company in the scent Vanilla with Orchid. I love sweet scents like this, so when I saw this in HomeSense for just £6.99*, I figured this would be perfect for my Valentine's Night In! So with all these little steps, I think I'll have survive Valentine's Day on my own this year. I'll be relaxed and pampered, it'll be a great chance to recharge my batteries. I hope you've found my little guide helpful! * I was gifted a gift card for PR purposes. All views and opinions are my own. 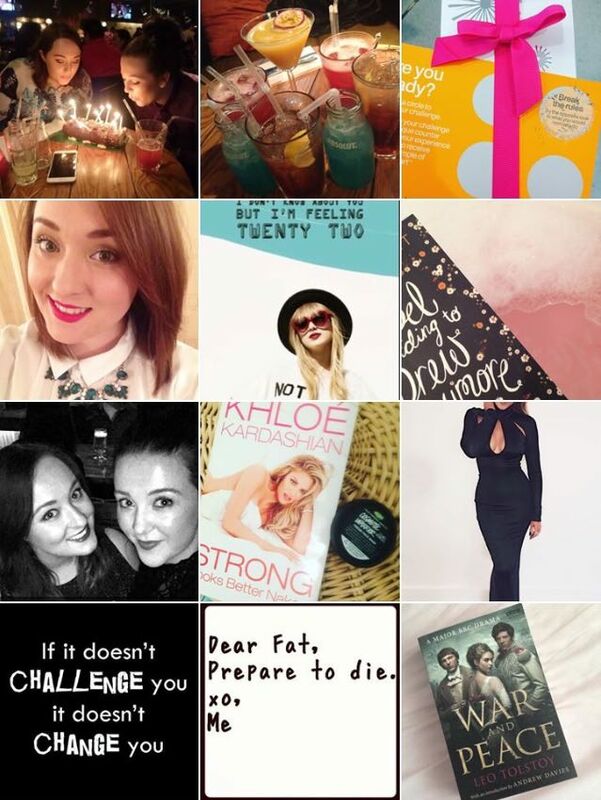 Somehow January has come to an end, and as I haven’t got a Favourites post coming (I really haven’t been very experimental with my makeup, so no new additions or rediscoveries to share), I thought I’d use the opportunity to look back at the first month of 2016 according to Instagram. I haven’t been quite my usual Instagram-happy self this month, but as it was my birthday month, there have definitely been some highlights. This month saw the start of the latest BBC drama War and Peace, and I couldn’t wait for this to begin. The adverts looked amazing, and I’ve not been disappointed – it is so good! I’ve always wanted to read War and Peace, and when I saw this new tie-in addition, I had to pick it up. I’m hoping it’ll entice me to read it! This month, I joined Slimming World. I put on a fair bit of weight while at university, and I’ve decided that I’m now ready and prepared to fight to get it off again. I’ve got a stash of these quote Instagrams, ready to flick through and post when I’m needing a little motivation or I’ve hit a target. Oh, look, another “Let’s get fit” motivation post. At the end of the day, I know that getting fit will be hard, but if it’s worth having it’s worth working for right? Sometimes I just need written reminders that it won’t be impossible. A little #WomanCrushWednesday and #MondayMotivation rolled into one. Khloé Kardashian has always been my favourite of the sisters, and I think she looks amazing these days. I would love to have a figure like Khloé, I mean look at her! This month, I read Khloé’s book Strong Looks Better Naked. I was sceptical about this when it first came out, but Waterstone’s had it half price, and I thought I’d give it a go. It was so good! 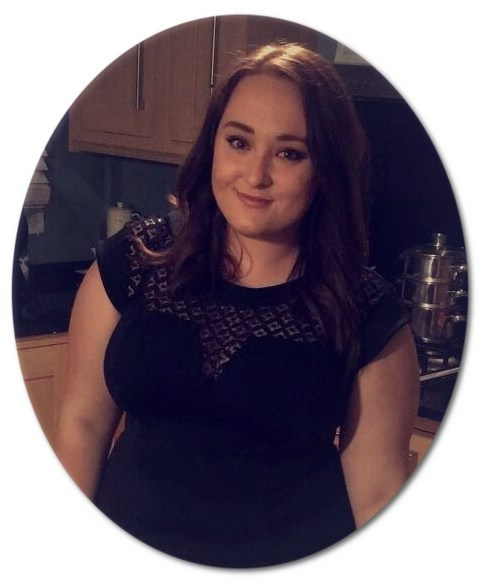 It was really interesting to hear her reasons behind exercising and eating healthier, and I loved that she addressed physical and emotional wellbeing. Teamed with a Lush Face Mask, I was set for the evening. Aww, me and my girlie. Anna celebrated her 21st birthday this month, just a few days before my birthday. I love this picture of us, so had to share it along with a little birthday love. A good book and a bath – what more could you ask for? I’m really trying to read plenty this year, so far I’ve read three books. Not too shabby! I love finding the time to relax and just chill out a bit, especially where I have to get up so early for work during the week. Sometimes a soak and a read is just what you need. A little shameless selfie from my birthday night. I had my hair chopped and coloured especially for my birthday and even though it took a little getting used to, I’m slowly getting used to it again. If you saw Wednesday’s post, you’ll know I attended an event with my local Clinique counter to celebrate the launch of their new eye cream Pep-Start. I was lucky enough to be gifted a little goody bag, with a few samples in which I can’t wait to try. Following the Clinique event, myself and some of the lovely blogging girlies headed out for dinner and cocktails. Would it be a bloggers’ night out without a table full of colourful cocktails of varying sizes? Of course not! Ending the month with a lovely action shot from Alice. Anna and I were treated like little birthday princesses, with our lovely gifts and a cake! Yum! Thanks girlies! So this month has been very birthday focused – yay for winter babies!!! You can follow me on Instagram here. 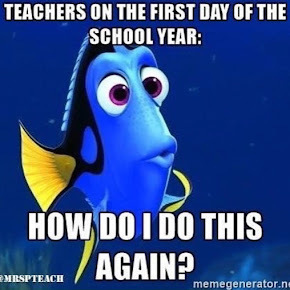 Hope you’ve had a lovely month! 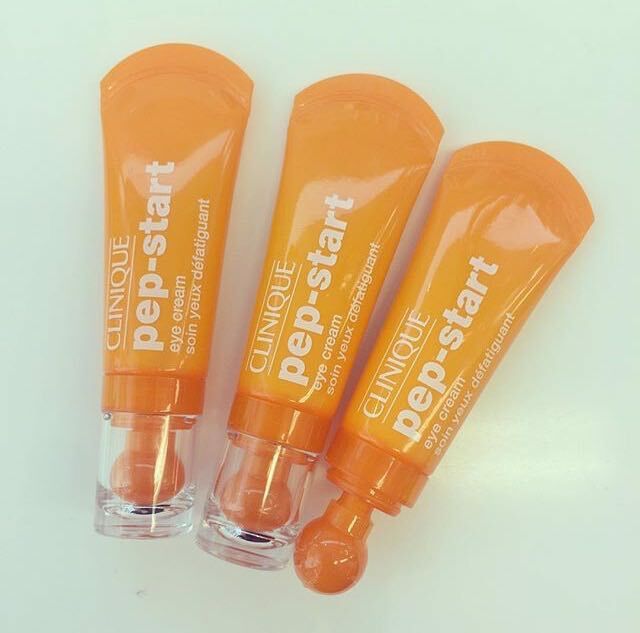 Last week saw the launch of Clinique’s latest skincare offering – the Pep-Start Eye Cream. To celebrate, the lovely ladies at Clinique in Boots Southampton invited the Southampton Bloggers into store to have a sneaky peek. Despite attending a similar Clinique event in the past, I’ve never really tried any of their skincare. But then, knowing me and my lack of skincare routine at the moment, is that really a surprise? I can’t really say I’ve tried much skincare at all. If you’ve read my Feeling 22 post, you’ll know I’m trying my hardest to get some kind of skincare routine in place, so I was excited to pop in and hear about the newest addition to Clinique’s collection. Immediately, I was met by the bright orange packaging of the new eye cream. It’s such a summery colour that it instantly catches your eye, and you realise just how different it looks from the rest of Clinique’s packaging. Designed to try and get younger beauty users interested in skincare, I think this is right up my street. The packaging is so eye catching, and I love the look of the round applicator – it really adds to the application process. Clinique claim Pep-Start eye cream will hydrate, brighten, and generally perk you up. Who doesn’t want to have hydrated, brightened, perked up eyes? I certainly do. Kept in the fridge, I bet this will be really soothing – so far I haven’t tried it cool, but eye creams always feel better cold right? Pep-Start goes on really smoothly, and is almost gel-like, compared to the thick creams I’ve tried in the past. It soaks in quickly, not leaving any stickiness, allowing you to get on with the rest of your skincare and makeup. Talking of makeup, this eye cream makes a great base for makeup. The way it smooths the skin makes the application of makeup so easy. I’m really impressed with Pep-Start so far, I’m excited to see how it goes using this a bit more regularly. Who knows, we might have found step one in my skincare routine? To celebrate the release of Pep-Start Eye Cream, Clinique have launched the #ImIn campaign. The idea behind this new campaign is that with the Pep-Start Eye Cream in your skincare routine, you’ll be ready for any new challenges that might come your way. I love this idea, and I know from experience that if my skin looks and feels good, I feel good. I’m sure I’ll be adding Pep-Start to my skincare routine, will you? Pep-Start Eye Cream is available from Clinique for £22.